Whether this is your first step into VR/AR/MR/XR or you are ready to launch the “never been done before” component of your digital strategy, Groove Jones has a solution that will enrich your experience a-la-carte or with a full stack of features. 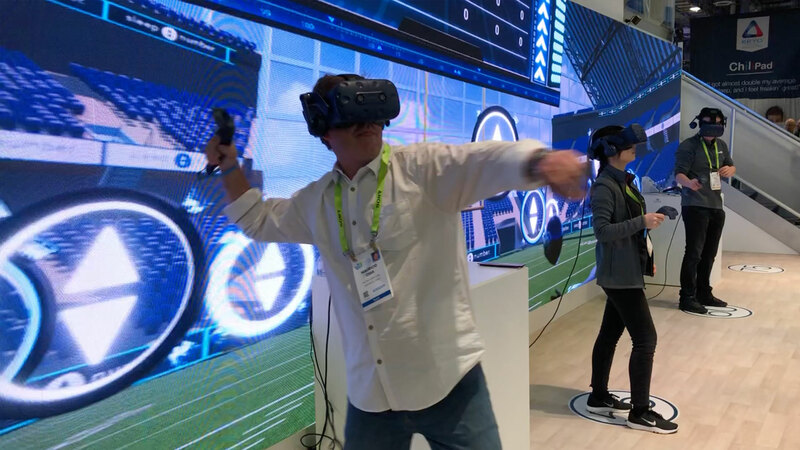 GrooveTech™ is the first comprehensive Platform built for brands and agencies for use with creating premium location-based experiences for onsite activations and digitalVR campaigns. The GrooveTech platform is secure, reliable, and flexible – allowing our clients to configure a strategic solution that will support their marketing objectives. Our system is built upon best in class technology providing a comprehensive and speed to market solution for this emerging market. 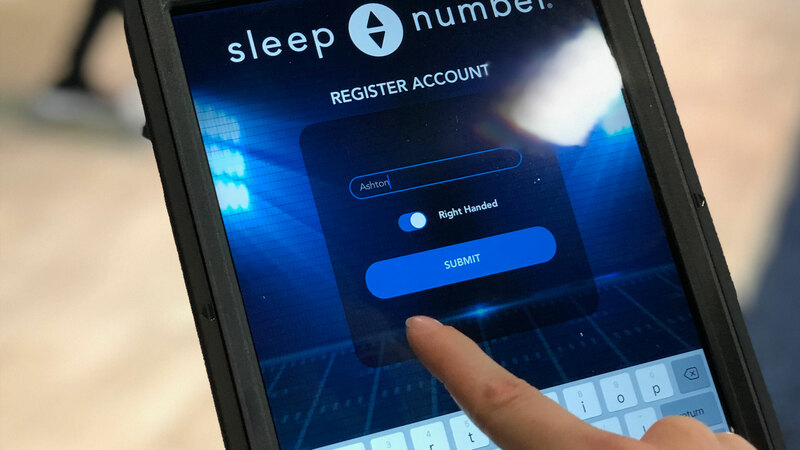 Leaderboard system we delivered for our client Sleep Number that they used at CES and multiple Super Bowls. Kaite Couric pictured above, as you can see, she crushed it. Our guest registration system can be modified to collect data that is unique for each customers activation. We can also opt-in users to our client’s email CRM to create databases for future marketing efforts. 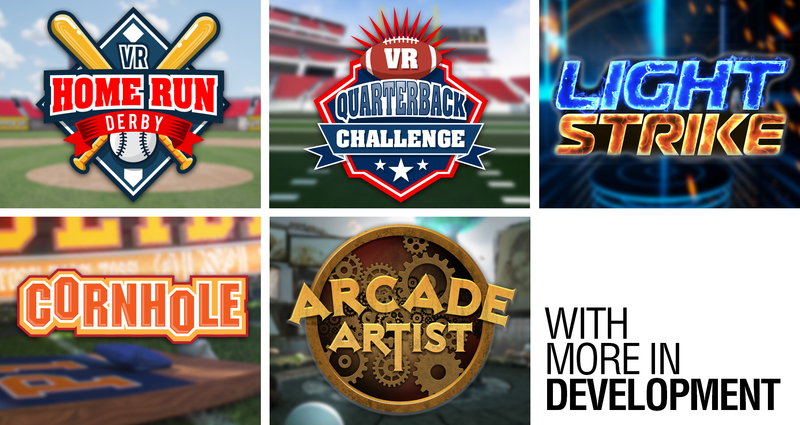 We have a variety of game engines ready for licensing for your events. Customize them with your own branding for a unique experience. By leveraging an existing game engine, we can save you time and money. Plus, you know you are minimizing your risk because you know that the engine has been battle tested. Below is an example of our Arcade Artist engine can be customized for a truly one of a kind branded experience. From customizing the entire environment to dropping in branding elements, we can create a solution for any budget. We can also lease the necessary equipment for your tour or event and train your brand ambassadors to deliver a best-in-class event. For more information on our available game engines, reach out and get in touch? Contact us anytime. Having multiple people within the same environment is an extremely powerful application. And they can do this without having to be physically near each other. We can connect multiple people within a VR experience from remote locations. Our multiplayer system is scalable. Up to 8 people at a time can play together at the same time. 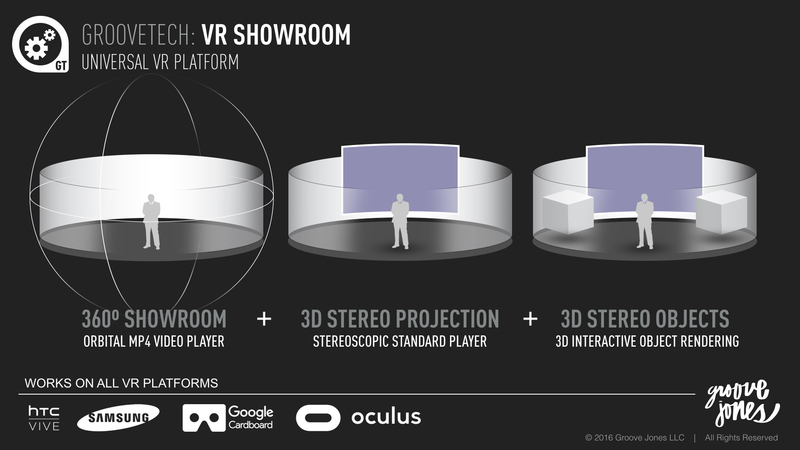 GrooveTech is a 360º virtual reality engine that supports fully interactive experiences and mobile VR applications. We support all the modern day VR headsets including – HTC Vive, Oculus, Samsung Gear VR and Google Cardboard. Below is a high-level overview of our Showroom App that allows for full 360º orbital playback as well as the ability to render content within the environment. This field-tested and battle proven tech lowers your risk, increases your speed to market and reduces your costs of creating something from scratch. Do you have any questions and want to get in touch? Contact us anytime. Our 360º PC Engine creates real-time rendered experiences that and are generally used at on-site activations or for deployment through the Valve Steam or Oculus Store. Our 360º Mobile Engine allows for VR to be experienced on iPhones and Android devices. These VR experiences are generally used at on-site activations using the Samsung Gear VR or Google Cardboard. The can also be deployed through the iTunes Apple Store or Google Play. 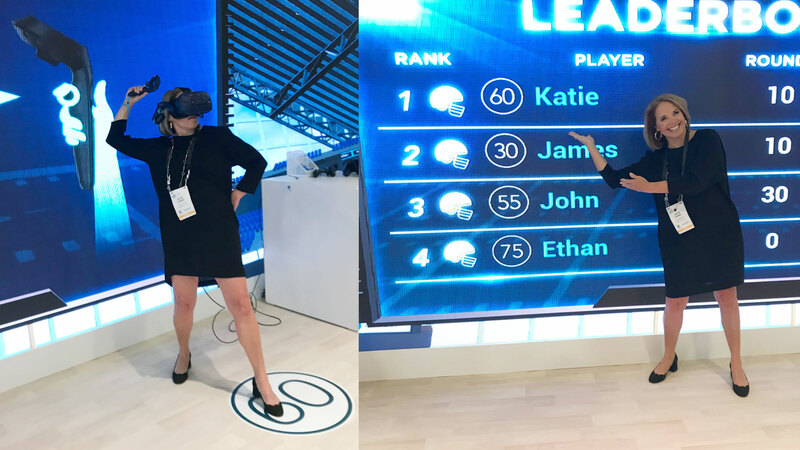 We can provide metrics that will track how users are interacting with your VR experience. From tracking unique users and session times to specific in-experience events, we can provide your team with meaningful analytics that are often needed to understand the ROI for your campaign. Using VR for education? We can track user activity for training and demonstration purposes to make sure your message is being seen and understood. Every client has unique needs that require a flexible platform that enables them to accomplish their goals. GrooveTech allows our team to leverage features you want that have been tested out in the field. 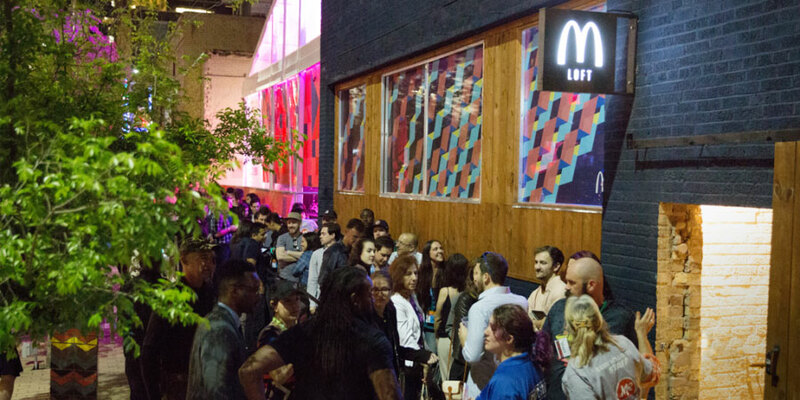 From capturing data to creating a fully branded activations, your experience will be uniquely yours. Creating an experience for Google Cardboard is an economic way to allow a large audience to see your content. We can help you with all aspects of creating a campaign that uses cardboard viewers – from finding the right cardboard partner to leveraging technologies that make it easy for your audience to order and receive their cardboard viewers. Capture the demographic content of your user base by giving them the ability to order a cardboard viewer directly in the app. This is a great incentive for taking quick surveys, gather additional information, or asking them to join your email list for future marketing endeavors. We’ve created some of the largest location based activations around the world and GrooveTech has helped drive the success of these events. From system planning and logistics to determining the quantity of devices needed to manage the throughput at your event, to having our trained brand ambassadors work the events. We can also lease you the equipment, so you don’t need to buy and manage hardware. 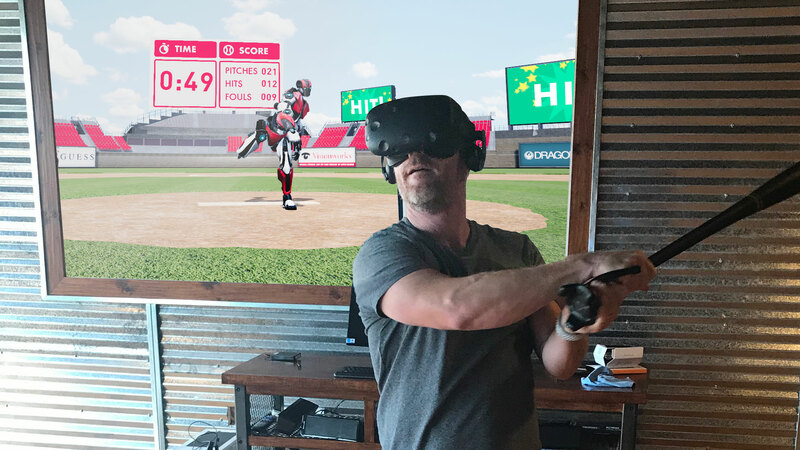 The VR experiences we create for our clients are seen at some of the largest events – from the Super Bowl to NASCAR races to SXSW. How do we manage crowds from 100 to 1000? We utilize tech to make things easy. From guest reservation systems that allow us to text a guest when we are ready for them to managing scheduling times for participants, we have solutions that fit any need. Want to give your audience the ability to capture and share their experience? GrooveTech includes social share technology that gives users the ability to share their experience with all the major social channels, including Facebook and Twitter. This can include customized postings to the user’s social pages and branded overlay images, as well as sharing the video of the actual VR experience. Sometimes you may want to give your audience something that they can take away with them. We have the ability to print out what you just experienced on-site. These can be collectible postcards of your audience with the headsets on or what they saw in VR. Making a great memento of your event. Looking for a way to share your VR content to the masses? We can deploy your VR content to multiple channels, including YouTube via their 360º Video Platform. Distribution via YouTube gets you access to a large audience that can view your content on their desktop browser. Or we can create a custom PR video that showcases your event. Groove Jones has partnerships with all of the VR platforms and will launch your content as part of a media distribution this includes.